This is America, but not like you know it. Years after the decimation of the male population by a super-virus, the country has refashioned itself with new laws, new customs, and new methods of shame and punishment. Now, hiding a living and healthy male is one of the gravest offenses, rivaled only by the murder of a man. Cole is a mother on the run, guilty of both crimes, and desperate to find a safe life for her adolescent boy Miles. As the two drift throughout the transformed states of the West, they hide Miles’ identity while evading a mysterious, powerful man bent on justice. From a commune in the Rockies to a high security laboratory in the redwoods of northern California, the two tensely negotiate an existence on the fringes of a new America. Cole’s goal for her son and herself is escape, a family in South Africa, a slim chance at a better life. Mother and child see their chance, at last, in the wanderings and secret goals of a cult — if only Cole can keep Miles’ true self hidden, and as long as they can stay one step ahead of an ex-boyfriend from hell. If you can’t wait that long, I’d highly recommend The Shining Girls, Broken Monsters and the graphic novel Survivors’ Club. In a city that runs on industrialized magic, a thief must join forces with the town’s only honest cop to stop a ritual that will kill thousands — and threatens to make their home a battleground between ancient evils. The city of Tevanne has grown rich, thanks to its mastery of the magical technology known as “scriving” — the art of inscribing an item with sigils to imbue it with some aspects of sentience. Or more precisely, the four merchant houses who monopolize scriving have grown rich. For their employees, their servants — their slaves — life in the city is orderly, protected. For those forced to live without House protection — and those who choose to throw off House shackles — well, Tevanne’s not such a fun place to be. And in a town like Tevanne, it’s hard to imagine two more natural enemies than Sancia Grado and Gregor Dandolo. Sancia is a former slave whose ordeals have made her an unnaturally talented thief. Today she uses her skills to steal from the very Houses that Captain Gregor Dandolo is sworn to protect. 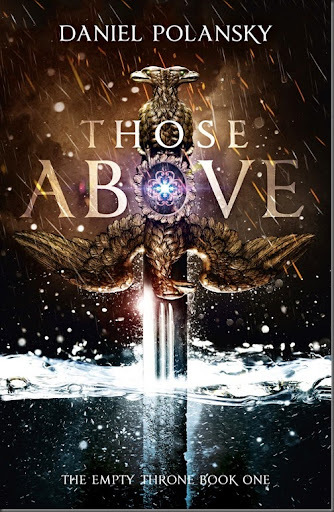 But when the two clash over Sancia’s theft of a powerful magical artifact, the fallout leads them to confront a common threat — a plot by Tevanne’s masters to develop a weapon capable of unleashing devastating warfare across the world. Foundryside is due to be published by Crown in North America, and Jo Fletcher Books in the UK, in August 2018. I really can’t wait for this one! Upcoming: M.R. Carey Returning to the World of THE GIRL WITH ALL THE GIFTS! M.R. Carey’s next novel will be The Boy on the Bridge — a prequel of sorts to the story in his best-selling and critically-acclaimed The Girl With All the Gifts (which was also a CR favourite in 2013). Carey’s The Girl With All the Gifts is published by Orbit Books in the UK and US. His latest novel, Fellside, is also published by Orbit Books in both the UK and US. I highly recommend them both. Carey is also the writer of the original, superb Lucifer comic series, which spun out of Neil Gaiman’s groundbreaking Sandman series. You can watch a video of Mike discussing the new book on his Facebook page, here. What if a society banished its worst nightmare to the far edge of the solar system, destined to sip only dregs of light and struggle for the barest living. And yet, that life thrived? It grew and learned and became far more than you ever expected, and it wanted to return to the sun. What if it didn’t share your moral compass in any way? 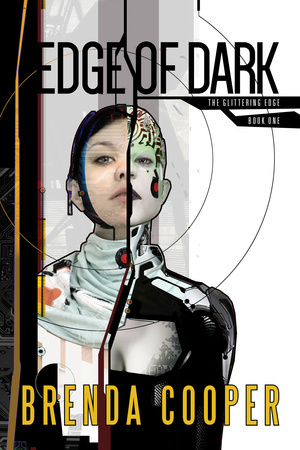 The Glittering Edge duology describes the clash of forces when an advanced society that has filled a solar system with flesh and blood life meets the near-AI’s that it banished long ago. This is a story of love for the wild and natural life on a colony planet, complex adventure set in powerful space stations, and the desire to live completely whether you are made of flesh and bone or silicon and carbon fiber. In Edge of Dark, meet ranger Charlie Windar and his adopted wild predator, and explore their home on a planet that has been raped and restored more than once. Meet Nona Hall, child of power and privilege from the greatest station in the system, the Diamond Deep. Meet Nona’s best friend, a young woman named Chrystal who awakens in a robotic body…. Wow. This is a beautiful cover for Daniel Polansky’s next novel. Colour me very excited and incredibly impatient. THOSE ABOVE is the first novel in Polansky’s next two-part series, The Empty Throne. It is due to be published on February 26th, 2015. Can. Not. Wait. 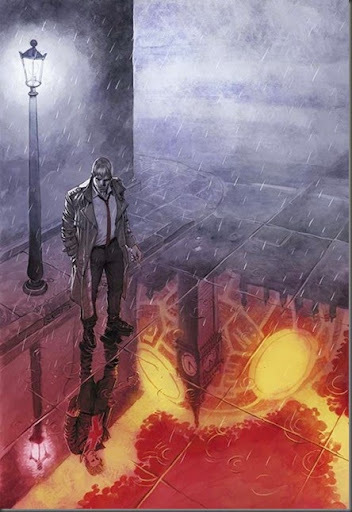 It’s hate at first sight when John Constantine meets his Earth 2 counterpart! I am a huge fan of Benjamin Percy’s novel RED MOON – published in the UK by Hodder and North America by Grand Central. It’s the only book of his that I’ve read, but it will by no means be the last. I also shared a few days ago information about THE DEAD LANDS, his next novel, which is one of my most anticipated novels. 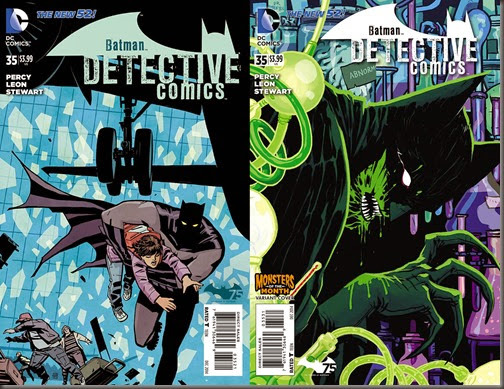 Today, though, I discovered that Percy has also written a two-part story for Detective Comics, one of DC Comics’ various Batman series! This is great news, in my opinion – some of my favourite comic story-arcs have been written by some of my favourite writers (Lauren Beukes’s run on Fairest, Gregg Hurwitz’s run on The Dark Knight, to name but two). 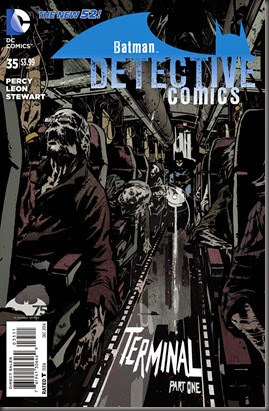 Percy has written the story “Terminus”, which will run over Detective Comics #35-36, to be published October 1st and 8th, respectively. Art for the issues is by John Paul Leon (The Massive, DMZ, American Vampire, Scalped), colours by Dave Stewart (Fray, Lex Luthor, Hellboy), letters by Jared K. Fletcher. 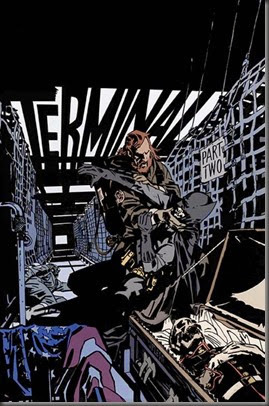 In the first chapter of a two-part tale by the guest team of writer Ben Percy and artist John Paul Leon, a civilian appearance at Gotham Airport turns into a horror show for Batman when a plane full of dead passengers arrives on the runway! What happened – and what can Bruce Wayne do about it?